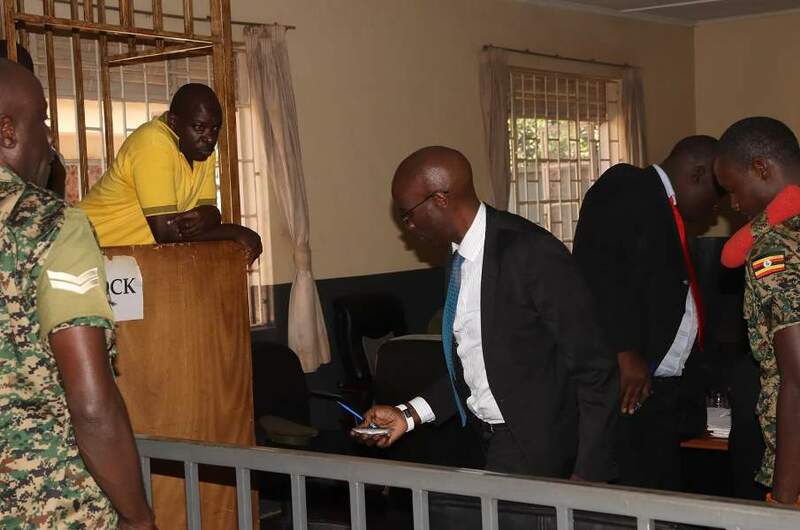 KAMPALA- Former Boda-Boda 2010 patron Abdullah Kitata’s lawyer who was expelled from the General Court Martial (GCM) has run to the High Court seeking orders to revoke the decision of the army court’s chairman that kicked him out. Jimmy Muyanja was on Tuesday last week thrown out of GCM by Lt. Gen Andrew Gutti for alleged misconduct during the hearing of Kitatta and 12 others over charges of unlawful possession of firearms. Muyanja has now sued the Attorney General seeking compensation for his infringed rights and embarrassment that was caused by Lt.Gen Gutti. The claimant now wants orders compelling the AG to reverse the orders of his employee (Gutti) of permanently banning him from representing his client, Kitatta. Muyanja says unless Lt. Gen Gutti ‘s order is reversed , his client will miss services of an experienced advocate who attended his bar course from Tanzania and being the very reason he was instructed by Kitatta because of his ability to speak and understand the Swahili language that is commonly used in the General Court Martial. Muyanja who however denies banging the table contends that this is a violation of his profession right to practice as a licensed advocate since Gen Gutti never accorded him an opportunity to defend his actions. He also faults Gen Gutti of acting in excess of his powers by losing his composure and using an irate and abusive language towards him something that degraded him before his client. His case has been allocated to Justice Musa Sekaana for hearing.